History teaching should not be about providing answers, but about asking the right questions. 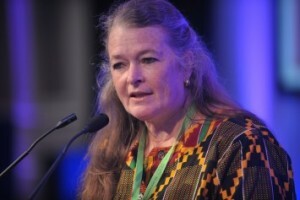 Open Society Foundations General Education Advisory Board Chairman, Mary Metcalfe addresses Education International’s second World Women’s Conference. Around the world, local organisations use football as a tool to address social challenges in areas such as health, peace building, children’s rights and education, social integration and gender equality. “IRODA” (Parents of Children with Autism Initiative) has been doing pioneering work in the field of Autism in Tajikistan since 2010.